One in six patients ravaged by deadly skin cancer are already being cured by the drugs, the European Cancer Congress was told yesterday, with the possibility of more than half being saved with an new combination. The astonishing development will save the lives of thousands of patients with advanced melanoma, who usually die within months of being diagnosed. The new treatment, which will bring hope to hundreds of thousands of people in Britain with terminal conditions, involves the combination of two different types of drug that ‘reboot’ the immune system. The first is ipilimumab – or ‘ipi’. According to research presented to the European congress in Amsterdam yesterday, 17 per cent of patients are cured by this drug alone. 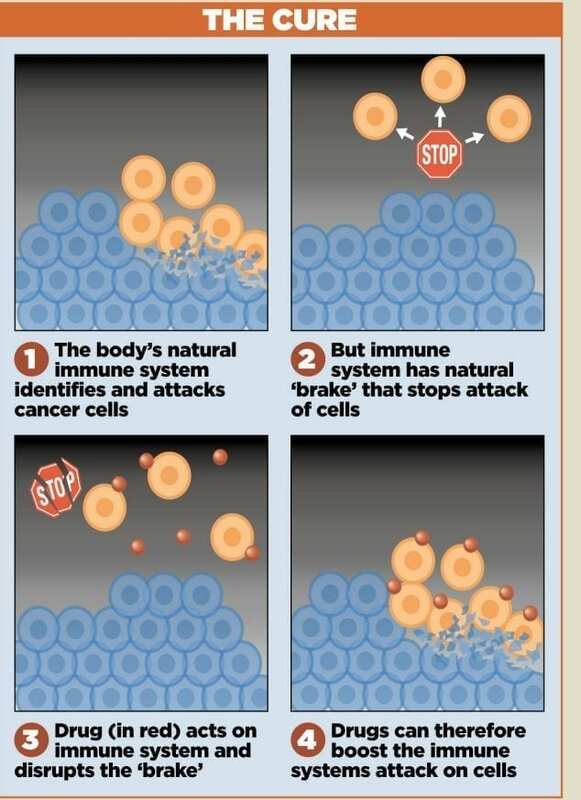 But many more – perhaps more than half – could be ‘clinically cured’ by combining them with even newer drugs called anti-PD1s which break down cancer cells’ defences.